While my Julep Jacket was blocking (And it blocked out so well! 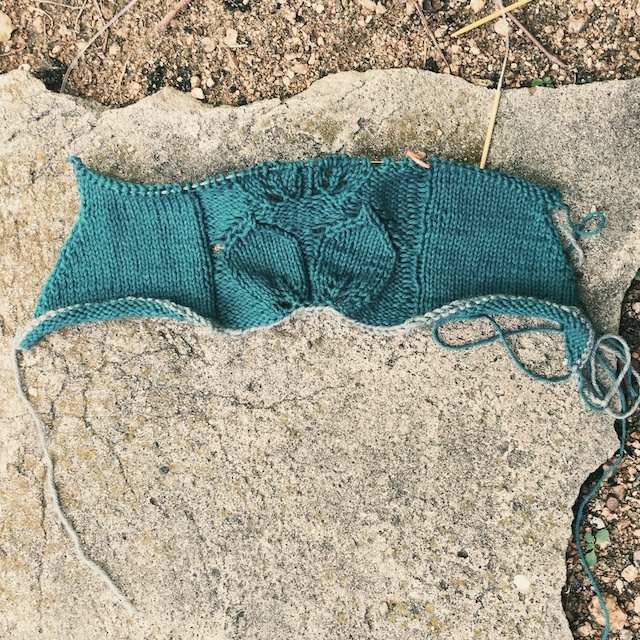 ), I started Valentina's Shannon tank top. I'm getting better about knitting more tightly, even in English style, but this still requires a size 2 needle. The fact that it's a tank top, however, makes it move pretty quickly. That's a provisional cast on in the gray yarn, done with a crochet hook and my needle. I'm getting much better at this. The first time I tried this, years ago, it was pitiful. I was wanting to knit these boxer- style shorts. I ended up just crocheting a long chain and knitting into each individual stitch, afterward. Of course, I had no real concept of gauge then, so it was doomed from the beginning. Maybe my husband's grandfather could have worn the shorts I was casting on for, but they never would have fit me. I like the crispness of linen before it's washed, even if it is a bit trickier to work with. After washing, though, it will be so soft and comfortable. I'm knitting the xs, expecting to get a small in the end. If, it has a bit of positive ease, I'll be fine with that. There comes a point, in every summer, where anything that touches my skin will be drenched in sweat and itchy. So loose is okay. I thought I would be almost finished with this, but the end of the school year has different plans for me. Also, my husband just informed me we are tiling our backsplash... like right now. 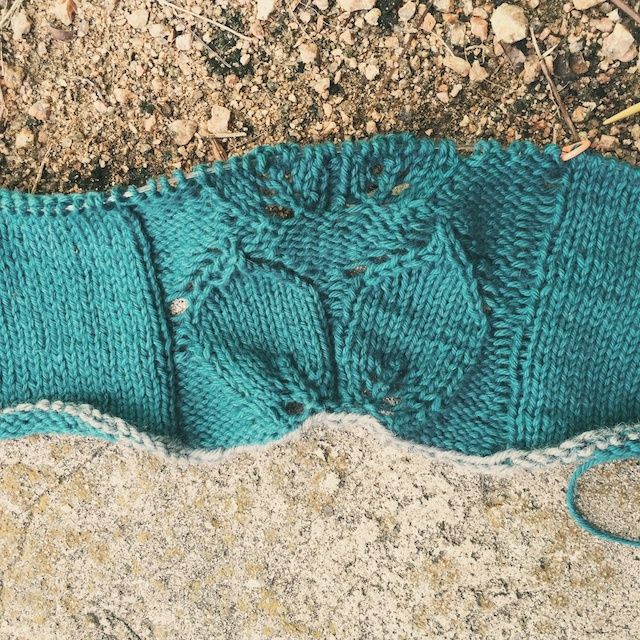 Where are you in your summer knitting?